Scroll through to see the inside spread. 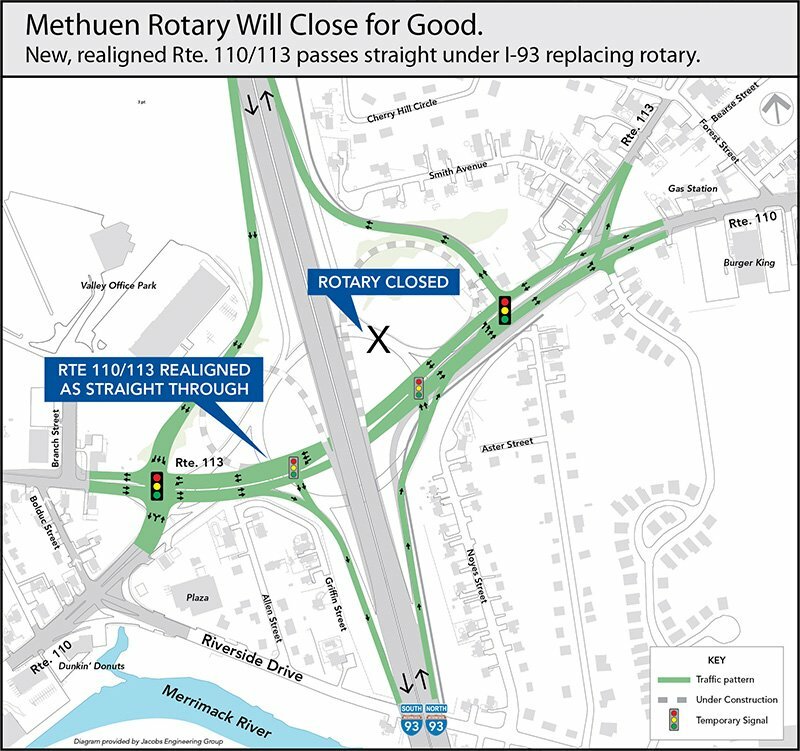 Provided branding for public use documents and presentation materials, including accessible PDF documents, accessible video on YouTube, HTML email design, PowerPoint template, handouts, and meeting boards for reconstruction of the Methuen Rotary at Route 93/110/113. I designed a beautiful project update that was distributed to nearby residents and the accessible PDF file is available on the Methuen Rotary website. The accessible reading order of the PDF is highlighted below. 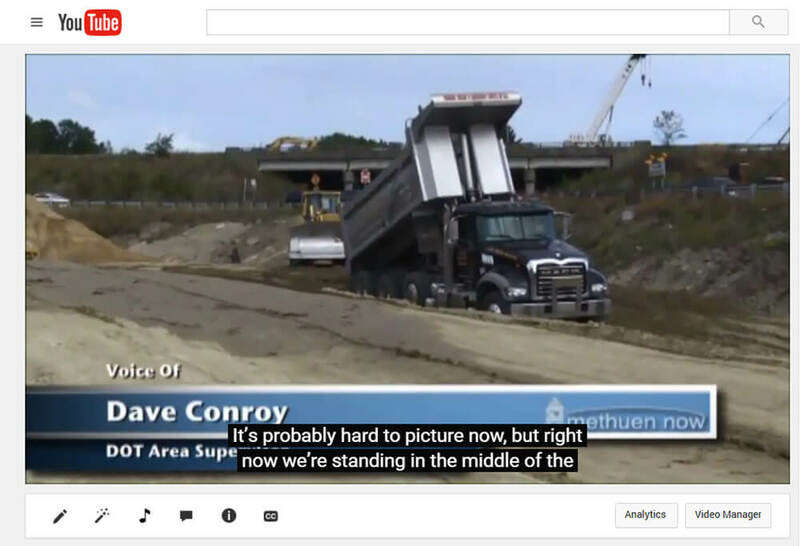 PR NewsChannel interviewed the MassDOT area supervisor and resident engineer in the Methuen Now video, which meets accessibility standards with captions. 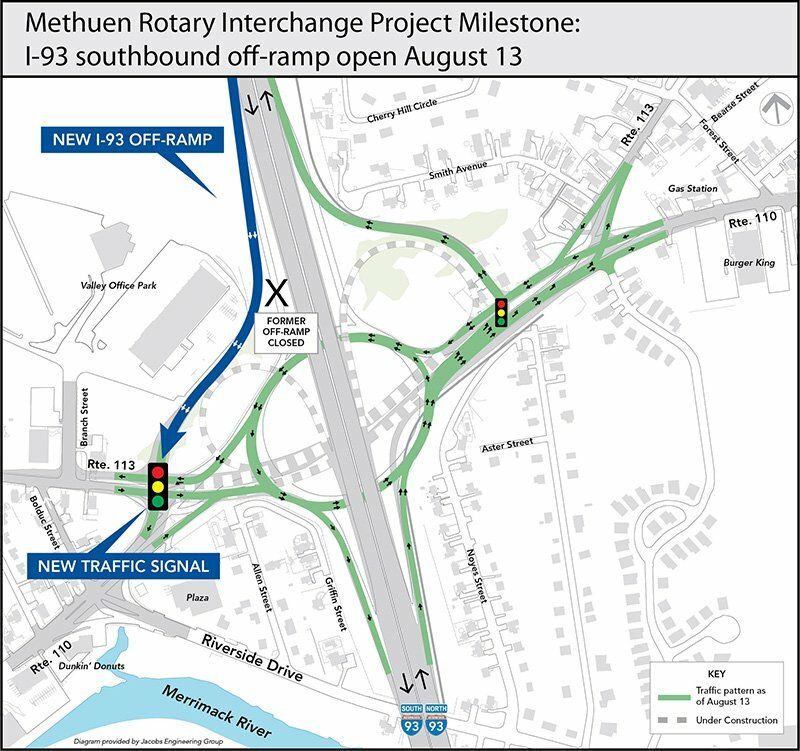 As the Methuen Rotary Interchange project continued, I designed several maps that were issued to local newspapers as project milestones were met and traffic patterns were changing. It was important for the maps to show the new traffic patterns, new traffic signals, and I-93 on and off-ramp openings. Two maps are show below. 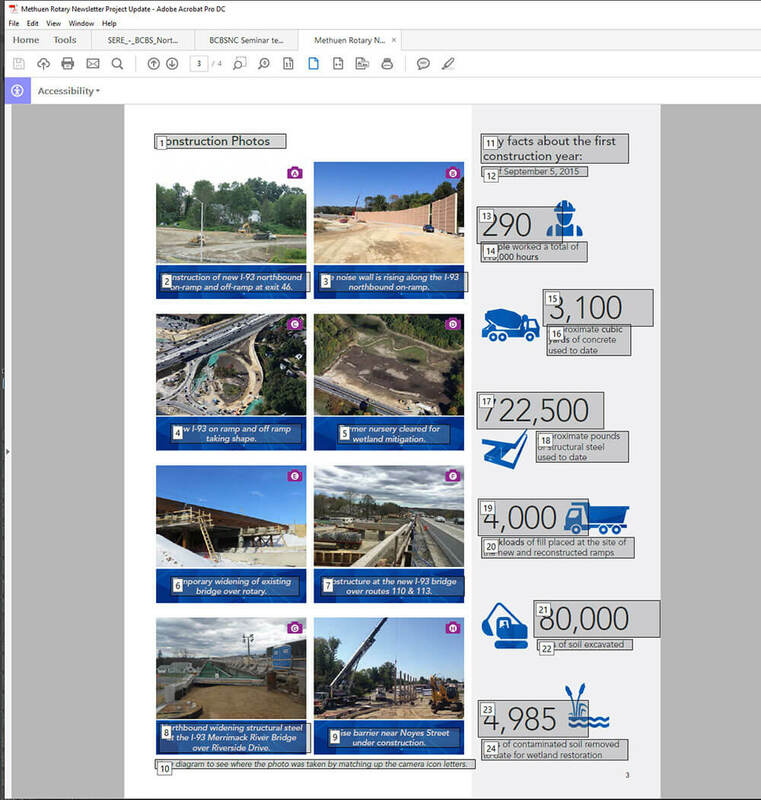 The first project milestone map is also on the MassDOT website and the @MassDOT twitter feed and the second is on the Eagle Tribune website. Are you looking for a WBE / DBE certified business in Massachusetts? See relevant projects on my WBE / DBE certification page.